A notorious Northeast burglar is back on the streets. Deandre Buchanan, the serial burglar who robbed a number of homes in the Scarritt Renaissance and Pendleton Heights neighborhoods earlier this year, was released on his own recognizance late last week and put on “unsupervised custody.” Court records show Buchanan was being held in the Jackson County Jail up until June 28th or 29th, when he was released on a “priority release” and placed on what’s called conditional house arrest. Court records show Buchanan has been charged in a number of court cases with Second Degree Burglary, Assault, Trafficking in Stolen Identities and Stealing over $750. 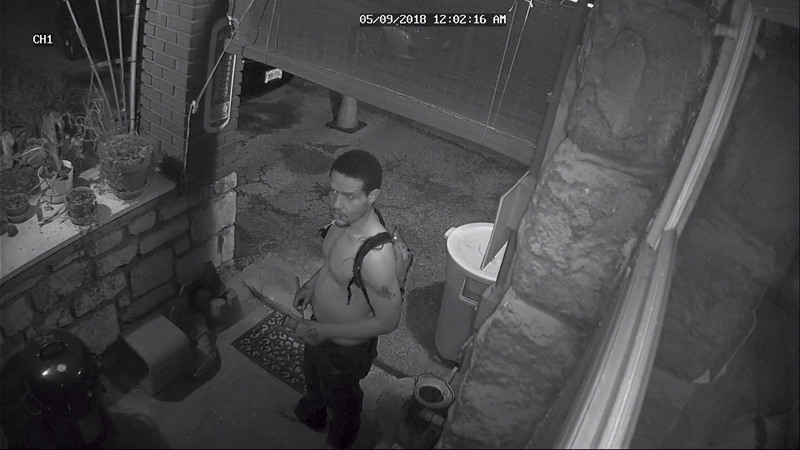 Buchanan and an accomplice – thought to be his girlfriend – were charged in a string of residential burglaries this spring in Scarritt and Pendleton Heights that had residents on edge and neighborhood block watch volunteers working overtime. 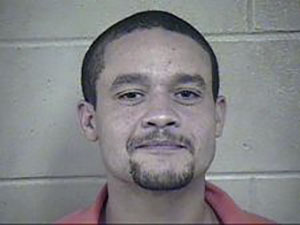 As reported in The Northeast News, Buchanan was arrested on May 12th near Independence Blvd. and Park and booked into the Jackson County Jail with a $40,000 bond. Police specifically credited the block watch program in the Scarritt neighborhood for Buchanan’s arrest. However, court records following that date show Buchanan’s bond being systematically reduced from the original $40,000 through a number of pre-trial hearings. It was initially reduced to $10,000 with a 10% condition, and then again on May 23rd to $7500 with a 10% condition; meaning he had to post a scant $750 to get out of jail. Court documents go on to show that on June 5th, Buchanan’s Public Defender, Stephanie Lopez, filed to have Buchanan released on Personal Recognizance. Court records indicate that on June 18th bond was posted and Buchanan was allowed to walk away from the detention facility on what’s called CHA (Conditional House Arrest). However, court records show the address he was released to was 705 Virginia, the address of Hope-Faith ministries. Hope-Faith has no dormitory facilities. One of the Pendleton Heights burglary victims on Tuesday July 3rd noted that per VINElink – a victim notification web site – Buchanan had been rolled out of jail. That resident alerted Center Patrol detectives of the development, while Scarritt Block Watch coordinator Heather Welch then notified East Patrol Captain Ryan Mills on the release. Mills expressed frustration that a serial burglar like Buchanan, a known threat to the public, was released. Mills indicated that East Patrol’s tactical squad is actively pursuing Buchanan’s whereabouts. A warrant for Buchanan’s arrest was issued on July 3rd. As of the morning of Thursday, July 5, Buchanan remained a free man. Residents are urged to call 911 immediately if they see Buchanan. Clarification: According to the Missouri Court system’s Casenet website, the address Deandre Buchanan was released to was 705 Virginia, the address of Hope Faith Ministries. However, according to a Jackson County source, Buchanan was not released to that address, but was released to another verified physical address. That source further indicated that a verifiable telephone number was provided with the county court system in order to comply with the county’s house arrest system. In order for an address to be verifiable, the person who’s home the prisoner is being released to must provide a lease or a mortgage with their name as the lease or mortgage holder, or provide a notarized statement from mortgage or lease holder noting them as such.